An estimated 9 whales surfaced every fifteen minutes off the remote shores of Kaho’olawe in Maui County.Â That’s according to data compiled in the annual Ocean Count conducted by the Hawaiian Island Humpback Whale National Marine Sanctuary.Â Volunteers collected data from 56 sites statewide with lesser counts recorded off Oahu (2), Kauai (2) and the Big Island of Hawaii (1). Photo Courtesy: Kevin Brammer, NOAA. Volunteers looking for humpback whales during the Sanctuary Ocean Count project on Oahu. Studies show that Hawaii’s wintering whale population has been growing at an annual rate of 7%.Â Over time, data from the Sanctuary Ocean Count can be used to corroborate these findings. 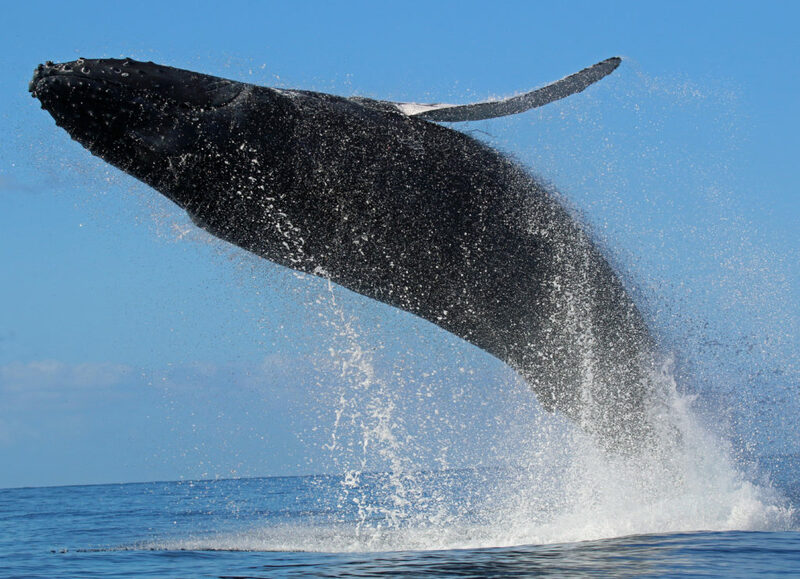 Hawaiian waters provide critical breeding habitat for approximately two-thirds of the north Pacific stock of humpback whales. “The Ocean Count project provides a unique opportunity for the public to learn about Hawai’i’s humpback whales and the sanctuary while observing the animals from the shoreline” said Christine Brammer, Sanctuary Ocean Count Coordinator. Â Approximately 500 volunteers participated in the count that tallied humpback whale sightings and documented the animals’ surface behavior during the survey. If you missed your chance to take part in the project this year, the count for next season has already been set. Â The annual Sanctuary Ocean Count project will be held in 2010 on the last Saturday of January, February, and March. Find out more about the project and view previous Ocean Count results on the sanctuary’s website at http://hawaiihumpbackwhale.noaa.gov. 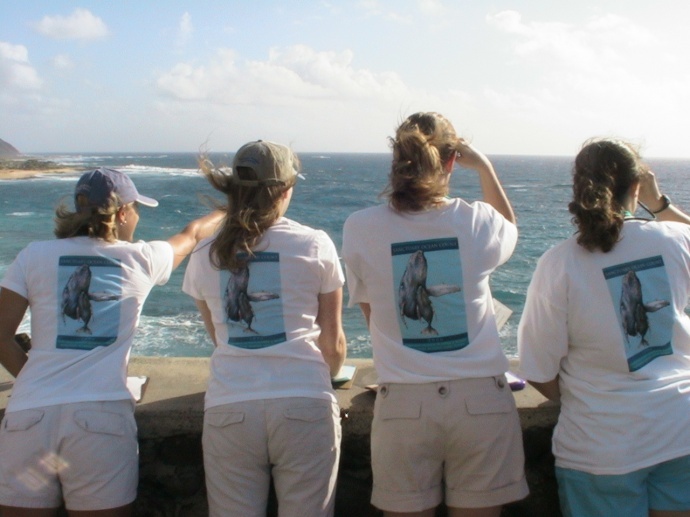 Â A whale count on Maui is conducted independently by the Pacific Whale Foundation. The sanctuary, which is managed by NOAA, protects humpback whales and their habitat in Hawaiian waters where they migrate each winter to mate, calve, and nurse their young.